EDITOR’S NOTE: Today’s post is written by journalist and biographer Justin Martin, author of the new book Rebel Souls: Walt Whitman and America’s First Bohemians (Da Capo Press, 2014). His post today is a reflection on psychedelic pioneer Fitz Hugh Ludlow. 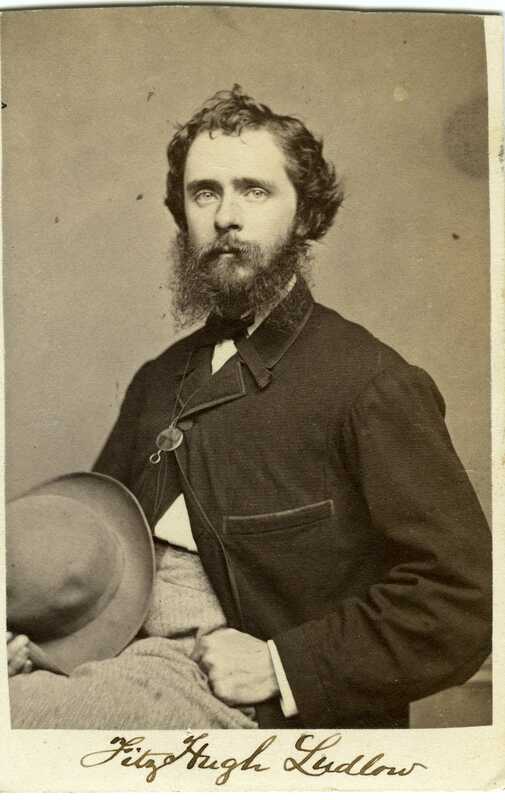 Fitz Hugh Ludlow was a psychedelic pioneer and author of the 1857 classic The Hasheesh Eater. I’ve just completed a book about his circle of Bohemian artists, which hung out at Pfaff’s saloon in Manhattan. As I researched, one of the things that struck me was how Ludlow made a distinction between drugs that promised enlightenment, and those that offered only empty sensation. Nowadays, this is a common view. Drugs tend to be sorted into two distinct categories, at least among the lay public. Those such as LSD, mushrooms, and peyote are viewed as means to heightened perceptions, albeit at the risk of one’s mental stability. Those such as cocaine, crystal meth, and heroin are viewed as agents of sensation, for use by people seeking sexual thrills or mere numbness. It’s akin to the classic mind/body split explored for eons by philosophers. 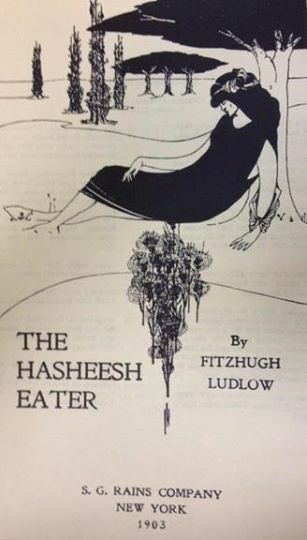 But Ludlow published The Hasheesh Eater at a time when drugs occupied a very small role in popular culture. This was more than a century before the Grateful Dead peddled their vision of psychedelic bliss, say, or the death of Philip Seymour Hoffman furnished the umpteenth Hollywood cautionary tale about the dangers of heroin use. Circa the 1850s, Americans made recreational use of everything from alcohol to opium to chloroform. Crucially, however, moral distinctions about the properties of different drugs didn’t yet exist. Ludlow – always supremely modern in outlook – made those distinctions just the same, promising that hashish offered “insight” rather than “indulgence.” And that seems to have been a key to his book’s success. It was one of the year’s best sellers, quickly going through four printings. It even sparked a short-lived vogue for hashish in the United States. After getting to know Ludlow, several members of the circle at Pfaff’s saloon felt compelled to celebrate hashish, at least in their literary efforts. Thomas Aldrich wrote a poem called “Hascheesh.” Walt Whitman – the mainstay of this Bohemian group – also made allusions to the drug in some of his work from this time. Given Whitman’s moderate drinking habits (no one at Pfaff’s ever saw him so much as tipsy), he is unlikely to have indulged. More likely, the poet – always ultra-receptive to societal trends – simply wished to attend to a current fad. Ludlow was ahead of his time, touting hashish for qualities that were morally acceptable, even desirable. If only the ill-fated Ludlow had held fast to his own instincts.